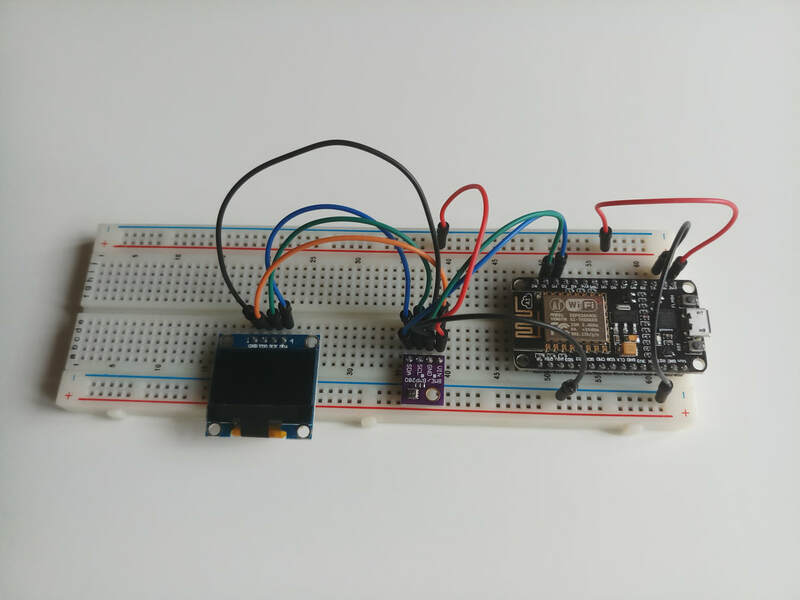 This is an Arduino project that teaches you how to connect a few devices on a breadboard in order to create a simple weather station that measures temperature, humidity and air pressure. The measurements are displayed on an LCD screen. The measurements are also logged into an online Internet of Things platform called ThingSpeak. This tutorial takes an incremental approach. It consists of a few modules, with each module focusing on one device. The last module assembles everything together. It takes about one hour to complete each module. If you are only interested in the final result, you may go directly to the last module. Materials: breadboard, nodeMCU, BME280 sensor, LCD1360 screen, connection cables. Prerequisites: We assume that you have some experience with Arduino. You have Arduino IDE installed and configured on your computer. You know how to install Arduino libraries. You know how to compile Arduino sketches and download them on your device.